Got a craving for some latin flavor? Indulge yourself here. I will just warn you, when accepting Leche, Salchica or even a Paleta from a Dominican singer, be sure you know what is being offered. Chupa La Paleta! Oro Solido. Oro WHO? Oro Solido. There are 2, actually, Sr and Jr. Some music from Cuba for the dancers. Rather than bore you with info (and have to do research) I will point you in the direction of Timba.com. Famed producer Ralph Raphy Mercado has died of cancer. He was 67. Mercado, son of a Dominican father and Puerto Rican mother, founded RMM records. FINALLY, after 3 years I have recovered the music on my old hard drive. Now to get it copied to the new computer! 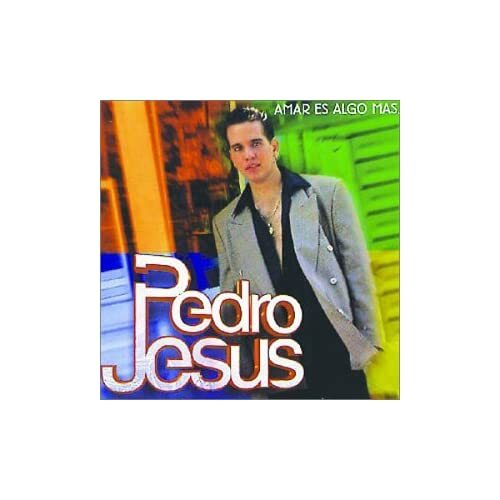 A favorite cd of mine was Amar es Algo Mas by Pedro Jesus. I loved the fire and passion of the songs. I couldnt wait to get my old drive working so I went to iTunes and downloaded my favorite tracks from this cd. And Esa Carta just kills me. Oh, and Dame Una Razon. Romantic, sentimental yearning but with HEAT. Here are the lyrics to Amar Es Algo Mas. Isn’t music amazing? I haven’t heard these songs in 4 years and its as if I just played them yesterday, I still remember the words and phrasing exactly! !